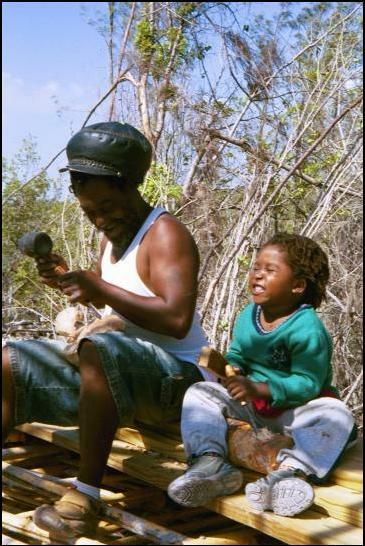 Right: Henry Wallace, world-renowned woodcarver, can often be found working at MAIC. Click Here to learn more about his woodcarving intensive studies. Below: Scrap Iron Colebrook is renowned for huge, beautiful baskets weighing several hundred pounds! He is an invaluable resource for MAIC, where he helped thatch the Chickee Studio and instruct in Andros lore. 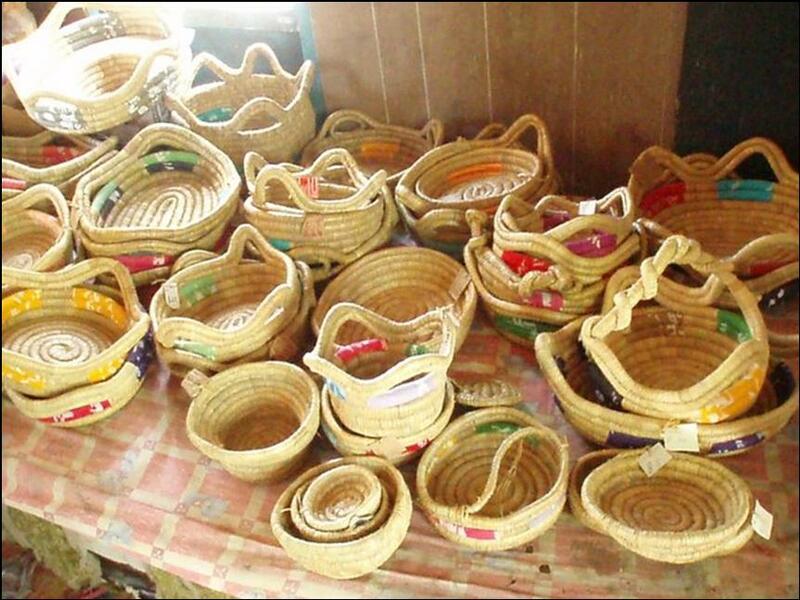 Don’t just buy the basket— learn how to make it. Don’t just eat a fish— catch it. 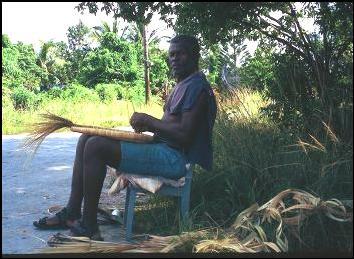 To employ a Bahamian to teach their way of life is to support and prolong that traditional way. Every guest at MAIC is an integral part of sustainable growth on Andros. Development doesn’t have to be subdivisions and convenience stores. Progress can be the flowering of culture. 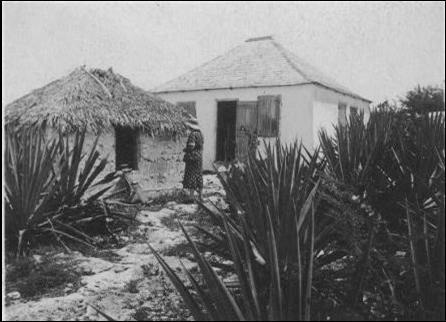 Above Left, a vintage picture of Androsan homes. 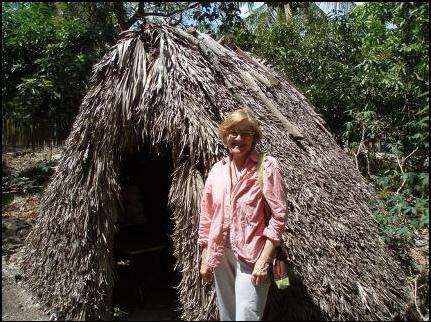 Above Right, Bethany Davidson stands in front of a traditional hut used in bush medicine healing. 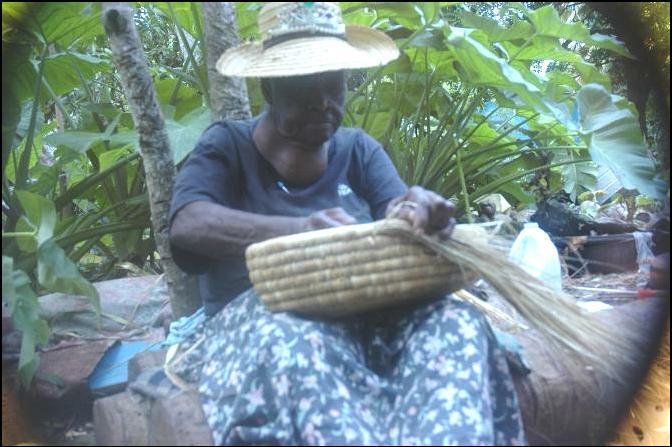 The hut was built by Ms. Marshall, who continues the healing practices handed down through her family for generations. 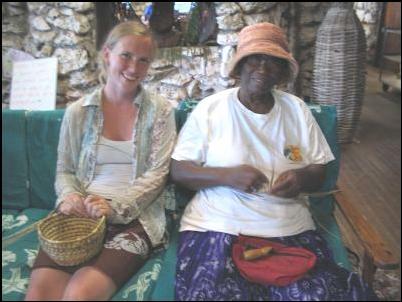 Located in Red Bays, MAIC is honored to know such a strong leader and gifted healer as Ms. Marshall.